Is is wrong to say Amen? Unknown to most of you there has been a spiritual struggle occurring within our congregations. It was a battle not of my choosing, but it caused much tension in our home. This last Sunday at our annual meeting of the consul and ministers of the House of God, it all came to a conclusion. This spiritual battle has been raging behind the scenes for many years bringing me to a final conclusion. I can’t work effectively when others I work with are so consumed by my different beliefs on ending prayers, not allowing camaraderie to exist. As of Sunday (12th December 2017), Virginia and I are no longer members of the House of God. I won’t get into the specifics for the sake of the church, only to say the following. I cannot go against my convictions and how I see the scriptures. There are some in the leadership of the church who seem to believe my salvation is lost because of what I believe on one issue. I can only say this, you might be careful how you judge others and their salvation. I will be continuing the work in the ways I can from my home. I’m not sure at this time how that will manifest itself, but the fact is, I can’t stop serving God. I wish everyone well and God’s blessings. I’ve always tried to help make everyone’s lives a little better at the House of God and we hope you remember us fondly. Virginia and I are deeply saddened by what has transpired over the last few months. We are saddened to not be a part of your lives any longer, but we no longer feel welcomed, and we don’t go where we’re not welcomed. House of God seems to teach doctrines consistent with many COGs. I don’t believe for one second amen is one of Jesus names, nor is God or any other name we use and amen won’t be used in His kingdom. It is not credible that God would invoke the name of an Egyptian god when he regarded himself as the only true God and his own name as above all names. “I am the LORD; that is my name; my glory I give to no other…” (Isaiah 42:8 ). Even the name Lord here is improper, should actually say Yahweh. But I don’t make folks adhere to the true translations either, I even try and not say the word lord, instead I use Eternal if I remember. In John chapter one He is called the logo’s (word) and that is a correct interpretation as well. But scriptures have been manipulated in so many areas of the bible, its really a matter of where one draws the line. The word wasn’t used before Israel went into captivity, while in captivity there is no evidence they kept their complete language pure or unbroken, it wouldn’t even be practical to believe so. It also isn’t practical to assume they worshiped only the God of Israel, they didn’t. It is the reason why the true God did what He did when He brought Israel out of Egypt. I don’t want to go word for word on this with you, all I need to know is what is your solution? I’m fine with leaving the issue as it is and not bringing it up, but if you want it expunged from Austin’s lexicon and Franks archives, you’ll have to address the whole Austin congregation about it. One last thing, I don’t in any way consider it blasphemous to our true Father or Christ to limit ones words he uses, especially when affirming another’s prayers or statements. Mathew 5:33 “Again you have heard that it was said to those of old, ‘You shall not swear falsely, but shall perform your oaths to the Lord.’ 34 But I say to you, do not swear at all: neither by heaven, for it is God’s throne; 35 nor by the earth, for it is His footstool; nor by Jerusalem, for it is the city of the great King. 36 Nor shall you swear by your head, because you cannot make one hair white or black. 37 But let your ‘Yes’ be ‘Yes,’ and your ‘No,’ ‘No.’ For whatever is more than these is from the evil one. Mike if you feel so strongly about my stance on this, then I gladly step down and you can chart the way of the church for the future. I’m not so wrapped up in this position it would bother me to step aside at this time. Until then, I’m glad to let those that want to use amen use it, and those that don’t, not do so. This has been my stance on the use of sacred names, and any other thing someone wants to believe. It’s my desire we can get this issue behind us and we can stay friends and fellow workers for Christ but I won’t be forced to do something I don’t believe in, and I wouldn’t expect you or any other person to do so either. Presumably, this may have been a factor in Ron Harmon resigning. Interestingly, the second line above comes from an Australian website that denounces saying Amen, that he seems to have quoted in its entirety. What about closing prayers with Amen? 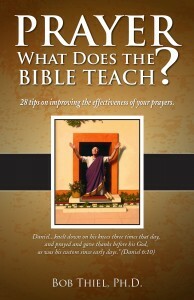 Well, that is actually number 28 of the 28 tips on prayer in the CCOG booklet: Prayer: What Does the Bible Teach? Some do not like the word “Amen.” Some claim it is pagan and that using it is calling out to, or praying to, an Egyptian sun-god. However, “amen” stems from the Hebrew verb aman (anciently pronounced ah-main) meaning “to support, confirm, or rear up” (Harkavy, Students’ Hebrew and Chaldee Dictionary). The Hebrew word aman (אמן) differs from the word for the Egyptian god Amon used in the Bible (ן‎ואָמ‎). Yet, some falsely claim that saying “Amen” is actually a prayer to that pagan deity. Basically, the word אמן/άμην signifies that you believe and agree with what was stated before. Believe what you pray. Have the right attitude. Amen. While some may say that saying Amen sounds too much like Amon (or that the sun-god’s name is also sometimes pronounced as A-men), we do not stop using words just because they have a similar sound in English as pagan deities. For an example, one of the main Egyptian deities was Ra. People from certain parts of the USA pronounce the English word “raw” as “rah.” When one is speaking about something that is raw, one is not invoking a pagan deity. Ending prayers with Amen is also not invoking a pagan deity. Interestingly, after I wrote all of that for the prayer booklet, my family and I actually visited an Egyptian museum in Northern California last month. And there, I was also able to confirm that the way we say ‘Amen’ is not the way that the Egyptian god is addressed. Those who claim otherwise apparently have not looked at this in sufficient detail and/or have dismissed Hebrew and Greek scriptures. It is appropriate to end prayers with Amen. More tips on and information on prayer are in the free online booklet: Prayer: What Does the Bible Teach? Let me also state that those who try to force the Yahweh issue are pushing a doctrine that is not consistent at all with the New Testament or the early Christian church. Proof of that can be found in the articles The Bible, Church History, and Sacred Names and Was the New Testament Written in Greek, Hebrew, or Aramaic? The ‘sacred name’ arguments and non-use of Amen are NOT Philadelphian Church of God teachings. Prayer: What Does the Bible Teach? People talk a lot about prayer. Many pray in public. Does God listen? What does the Bible teach about prayer? How can your prayers be more effective? Does the Bible give particular positions to pray in? What does God want you to pray for? What if what you want is difficult? What if what you want is humanly impossible? Why doesn’t God seem to answer all prayers? This free booklet answers all those questions and more. 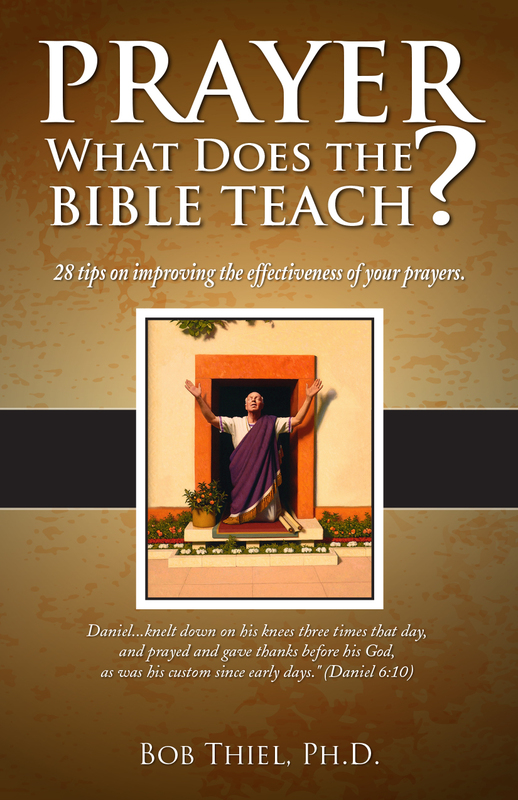 This contains 28 biblically-based tips on improving the effectiveness of your prayers. This is a pdf. A related two part sermon is available: What Does the Bible Teach About Prayer? and What does the Bible Teach About Prayer (& Healing)? Was the New Testament Written in Greek, Hebrew, or Aramaic? What language was the New Testament written in? Does it make any difference? What about sacred names? Did the Apostle Paul ever teach in Greek?The Bible, Church History, and Sacred Names What are ‘sacred names’? What is Jesus’ Old Testament name? Is the use of sacred names a subject of salvation or a false gospel? Must we refer to our Saviour as Yahweh or Yashua? A related sermon is available: Sacred Names: True or False Gospel? A related article in the Spanish language is La Biblia, la historia de la Iglesia, y los nombres sagrados. This entry was posted on Thursday, December 20th, 2018 at 12:01 am	and is filed under Doctrine. Pastor resignation related to ‘Amen’? Is using ‘Amen’ wrong? BibleNewsProphecy: Is Halloween a Holy Time for Christians?